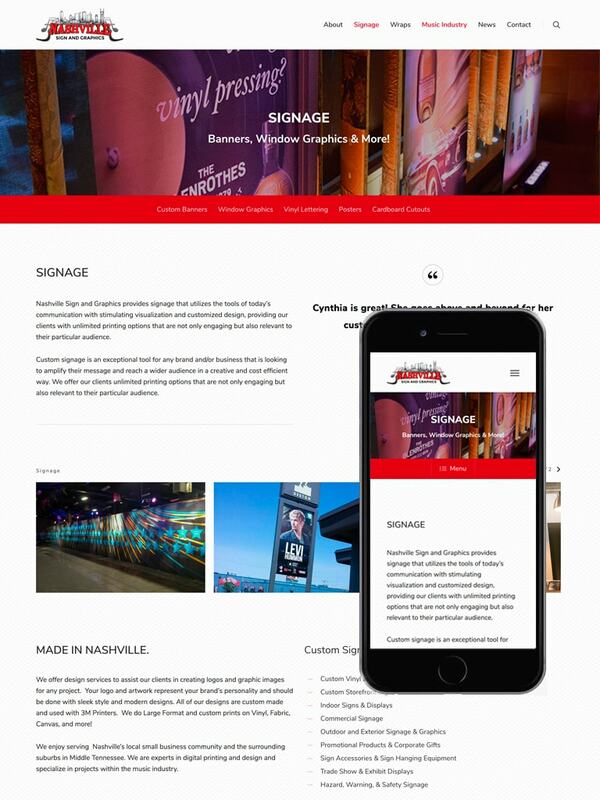 Cynthia Ryan from Nashville Sign and Graphics came to Consonant Marketing with the need to replace a basic “online business card” style website. The company had a steady referral business going but did have a need to generate leads for their large format printing services. 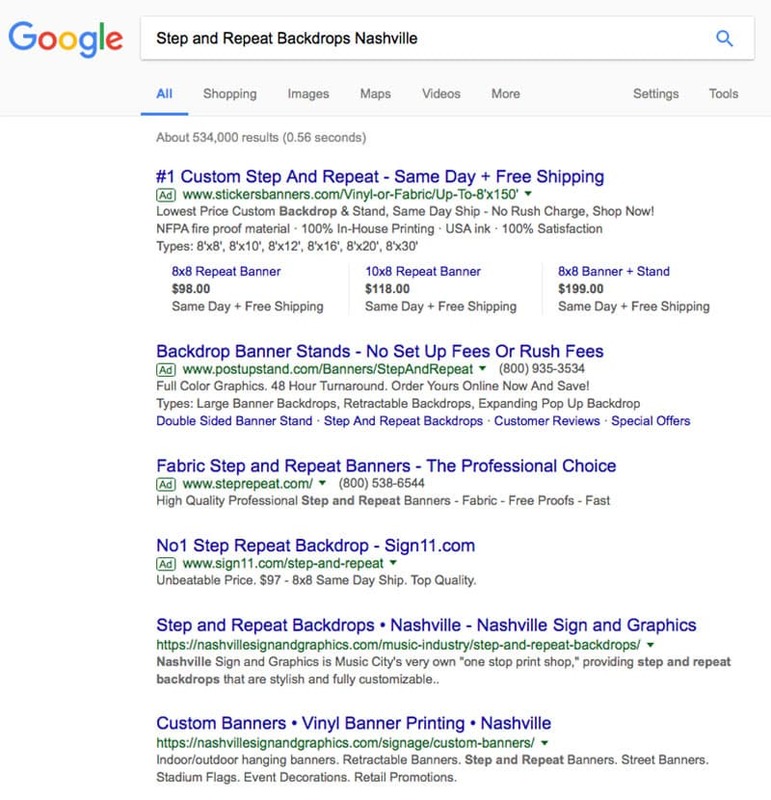 You will find Nashville Sign and Graphics on the first page of a quite a few search engine results. 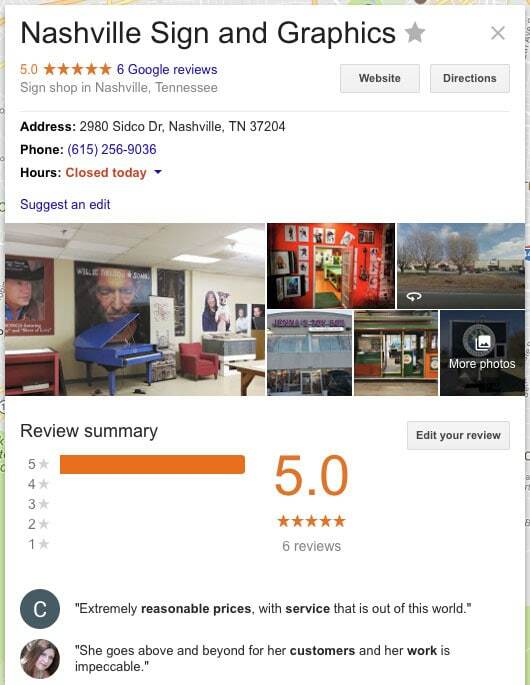 If you’d like your business to rank on the first page of Google results, contact us today!